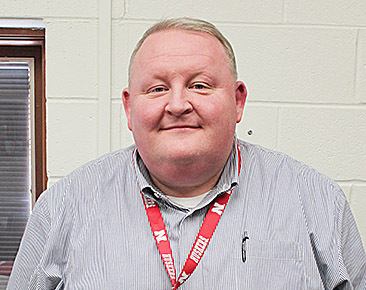 Boone Central Superintendent of Schools Cory Worrell announced last week he has accepted a position as superintendent of Waverly Public Schools near Lincoln. Superintendent Worrell announced the move to Boone Central staff last week, and Monday night the school board accepted his resignation and contract release effective June 30, 2017. The board reviewed proposals from the Nebraska Assoociation of School Boards (NASB) and a private firm for the superintendent search. They selected the NASB service at a cost of $2,500. Dr. Worrell is in his eighth year as Boone Central Superintendent. He began his duties here in July of 2009, when he and his wife, Amy, had only one son, Cooper, who was then nine months old. Cooper is now eight years old and a second grader at Boone Central. They have three additional sons: Brody, six, and a kindergartener; Deacon, three, and a preschooler, and Archie, two years old. Dr. Worrell will be starting at Waverly District 145 on July 1, 2017. It is a much larger district with 1,920 students in grades K-12 and more than 270 staff members. The district serves the communities of Alvo, Eagle, Prairie Home, Walton and Waverly. The physical boundaries of School District 145 encompass approximately 300 square miles in the counties of Lancaster, Cass, Otoe, and Saunders. “Although I will miss Boone Central, I’m looking forward to this opportunity for myself and my family,” said Dr. Worrell.